The early 1960s were for Britain a rare moment of opportunity; post-war prosperity had created a more homogenous, more socially ambitious and optimistic people, yet culturally and educationally the country still remained divided by an education system designed at other times to serve a very different kind of people. The provision of technical schools represented an even sadder story to the slow development of the modern school. To make the tripartite system work there should have been half as many technical high schools as there were grammar schools. In fact, by 1963, there were just 204 such schools in the entire country, with an average of six grammar school pupils to every technical school pupil. Over 40% of local authorities didn’t even have a single technical school, and that in the land which had sired the Industrial Revolution. It wasn’t that the aims for secondary education set out in 1944 weren’t eminently worthy; they included the formation of moral and ethical standards, the intelligent use of leisure, and the development of social skills needed to support family and community (“families can’t be built upon half-baked personalities”)1. However, the opportunity to develop such skills was mightily constrained by the kind of school the child attended. If it was the grammar school, then the development of the academic curriculum severely limited the development of social skills, while if it was the modern school the near impossibility of pursuing academic studies to any depth deprived most youngsters of the opportunity of progressing much beyond the lifestyle of their fathers. The school-leaving age was raised from fourteen to fifteen in 19472. Yet, in a way hard to appreciate in 2006, that wasn’t the actually the end of a youngster’s formal education. There existed, until 1959, the enforced conscription of all young men on their eighteenth birthday into two years of National Service3. The War with Germany having ended, Britain still needed large numbers of servicemen to confront the expansionist aims of communism. For two years every able-bodied young man was trained to fight and, most significantly, trained in skills that would keep the Armed Services operational — radar technicians, radio operators, car mechanics, cooks, navigators, boatwright’s, even teachers. Once ‘demobed’ they went back into ‘civvy street’ with marketable skills, and a sense of discipline so that, with the ending of National Service to replace such skills, it became imperative to strengthen the formal school system. While the grammar schools and public schools sought to incorporate some of the social skills that National Servicemen had appreciated — the Duke of Edinburgh’s Award Scheme4, Outward Bound5 courses and shortly thereafter the Voluntary Service Overseas6, educational policy makers turned their attention at last to the needs of the Modern school. In 1945 Wilkinson had taken pride in claiming that the Modern school would not be a watered-down version of a grammar school curriculum. She had no wish to see its new curriculum constrained by external examinations. Modern Schools wanted ‘to do their own thing’ and in their own way. In pre-war days there had been only one form of public examination, the school certificate, examined in two parts, Higher and Lower. Although it examined individual subjects a pupil had to pass in every subject at a single sitting to be awarded the certificate. There were no retakes. To get ‘School Cert’ you had to be all-round smart7. In 1938 when only 18% of fourteen-year-olds were still in school, only 60% of those who survived to sixteen even achieved the lower certificate. By 1951 School Cert was replaced by the General Certificate of Education (GCE), which differed in one fundamental way to the School Certificate, awards were given for each pass, not for a group of subjects8. Failing, say, two subjects in a group of six, the pupil could retake the two he had failed six months later and, if successful, then claimed that he ‘had six GCEs’. There were limitations to both schemes, but traditionalists argued that the new GCE exam opened up opportunity for ‘grafters’, and did not really define those who were all-round smart. GCE was explicitly designed for grammar school pupils, generally assumed to be the top 25% of the ability range. To ensure that there was no ‘grade inflation’ (i.e. that standards remain steady over many years) pass rates were adjusted from year-to-year to ensure that no more than about 70% of those who sat the exam actually passed. In 1965 a new exam was set up for the more able Modern school pupils to be called the Certificate of Secondary Education9, catering for pupils below the top 25% of the ability range, yet above the bottom 40%. A Certificate was awarded for each separate subject but, and here was the novelty, the subject could be taught to a syllabus set nationally (like GCE), or a separate syllabus could be set up by a group of teachers to reflect local characteristics. By the mid 1960s the problem created by a segregated system of secondary schools, and an examination system that could not be applied equitably across the entire ability range was such that, in the institutional jargon of an unwieldy Department, what was called Circular 10/65, was sent to every local authority. It was as monumental in its significance as the Education Act of 1870. In its deference to local sensitivities it was as gentle as had been Forster in his unwillingness to upset the ‘benevolent interests’ of the status quo. What it said was imminently significant “The government are aware that the complete elimination of selection and separatism in secondary education will take time to achieve. 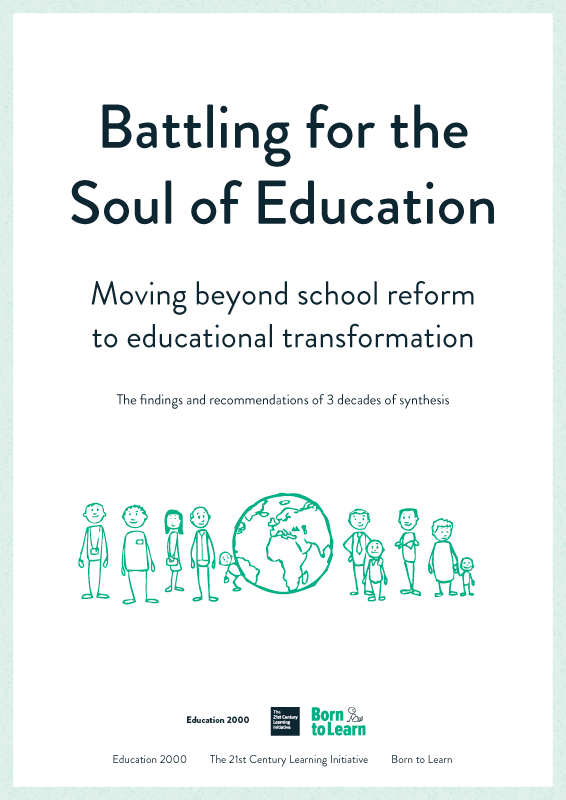 They do not seek to impose destructive or precipitate change on existing schools; they recognise that the evolution of separate schools into a comprehensive system must be a constructive process requiring careful planning by LEAs in consultation with all those concerned”10.